저의 건강 멘토이신 Jeff Reagan이란 분이 올린 글인데 요즈음과 같은 겨울철에 꼭 필요한 조언이어서 몇 가지로 요약해서 전해 드립니다. 요즈음은 낮이 짧고 밤은 길고 길어서요. 우울한 느낌이 쉽게 드는 계절입니다. 특히 일조량이 부족해서 비타민 D 생산이 힘들고 행복 호르몬이라고 불리우는 세러토닌 분비량이 줄어들어서 자연스레 슬픈 감정에 지배를 당하기 쉽다고 합니다. 그렇지만 우울증과 차이가 있다고 하지요. 우울증은 계절에 상관없이 지속적인데 비해 SAD는 보다 늦가을에서 겨울철 감기 같은 손님입니다. 또한 불면증과 식욕 부진이 우울증 증상이라면, SAD는 기면증(잠을 과다하게 자려고 함)과 탄수화물 과식의 유혹이 있어서 체중 조절이 필요하게 됩니다. 이를 극복하기 위해서는 첫째, 밖에나가 신선한 공기를 들이마시며 햇볕을 보는 시간을 가지되 걷거나 가볍게 뛰는 조깅이 좋습니다. 둘째, 비타민 류나 과일을 섭취하여 신체적 기능을 활성화하는 것입니다. 셋째, 인공 조명 장치를 활용하여 실내나 거실에서 햇볕을 쬐는 효과를 만들어서 쬐이는 것입니다. 물론 독서나 가벼운 운동을 하면서 지내도 좋습니다. 모쪼록 여러분들 모두 새해엔 더욱 영육 간에 건강하시길 소원하고 축복합니다! Short days…And long, long nights. Winter has a definite “feel” to it. But does it get you down? Everyone can feel a little blue this time of year. Then it may be more serious than a simple case of the winter blues. 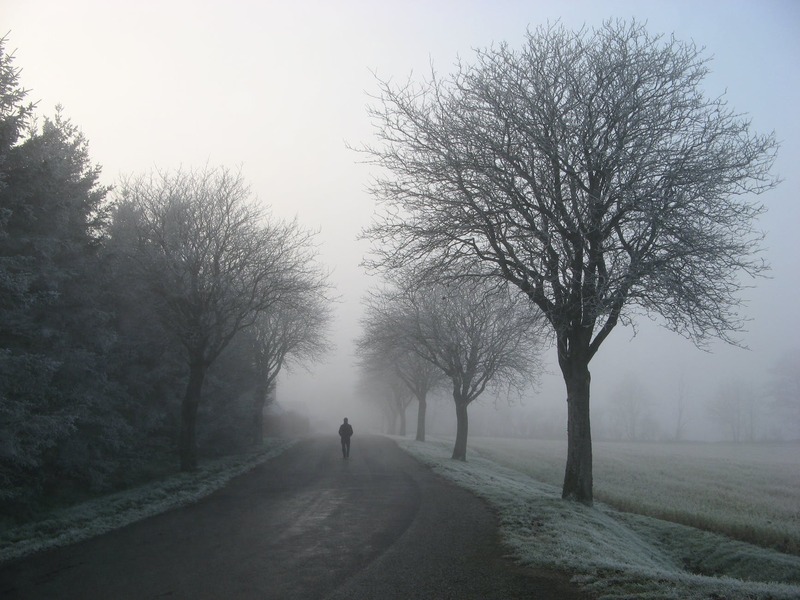 You could have what’s called Seasonal Affective Disorder (SAD). One in 20 Americans have SAD so bad they can’t go to work or function normally during the winter. And another 15% of Americans have a milder version of SAD. But even if you have “mild” SAD, it can really drag you down. Making it harder for you to be productive at work, complete projects around the house and even socialize normally. The way to know the difference between major depression and SAD is easy. Just look at the calendar and your symptoms. Major depression is year-round. SAD is confined to winter and late fall. That means, in the spring and summer you’re feeling good and productive. The symptoms are different too. People with major depression have trouble sleeping and a loss of appetite. People with SAD oversleep and overeat – especially sweets and carbs. If that sounds like you, there’s a solution. I’ve talked about getting enough full-spectrum light to boost your vitamin D production before. And when it comes to SAD, getting enough light is even more important. Because you need more than non-SAD sufferers. Here’s why. Scientists believe that the reason why some people struggle with SAD is their serotonin levels. Serotonin is a “happiness” brain chemical. And it’s strongly linked to sunlight exposure. People with SAD react more strongly to a lack of sunlight and their serotonin levels go way down as a result. This is why getting more light is critical to getting better. One solution is light therapy. Sitting in front of a light box first thing in the morning for about 30 minutes. If you think you have SAD, talk to your doctor about using a light box. But whether you can use one depends on your personal health. For example, people with eye problems may not be able to use a light box. And even if your doctor agrees you should use one, you’ll likely get a schedule designed just for you, so you use the light box safely. But if you can get outside every day, particularly in the morning, that’s even better. Go for a walk or a run once the sun’s up. Even on cloudy days, the light outside can naturally lift your mood by boosting your serotonin levels. And you get some fresh air and exercise while you’re at it. Both of which can help you feel better as well.